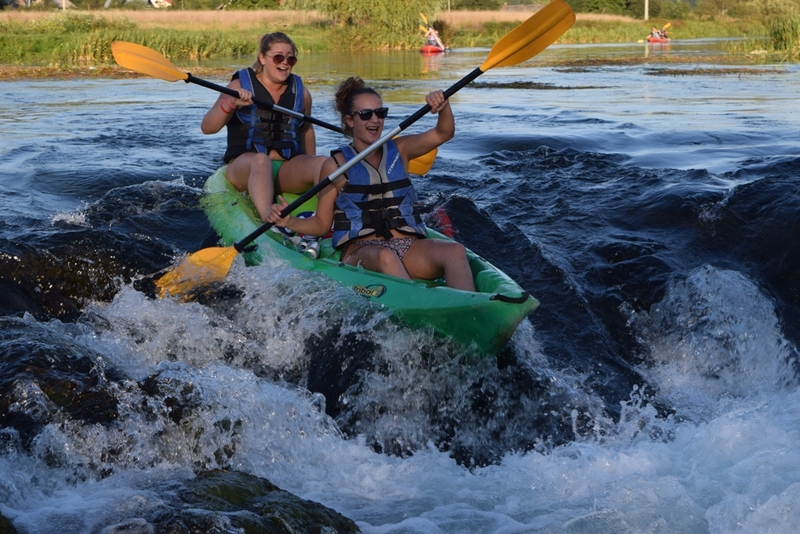 DAG TRIBAL KAYAKS + PADDLES + LIFE VESTS + WATERPROOF BAGS + FREE INJURY INSURANCE + EXTRA GRATIS CD WITH KAYAKING PHOTOS. 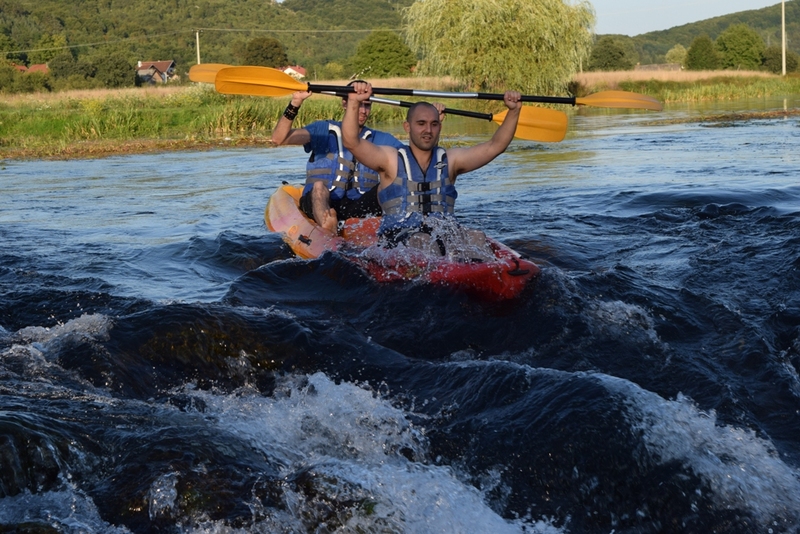 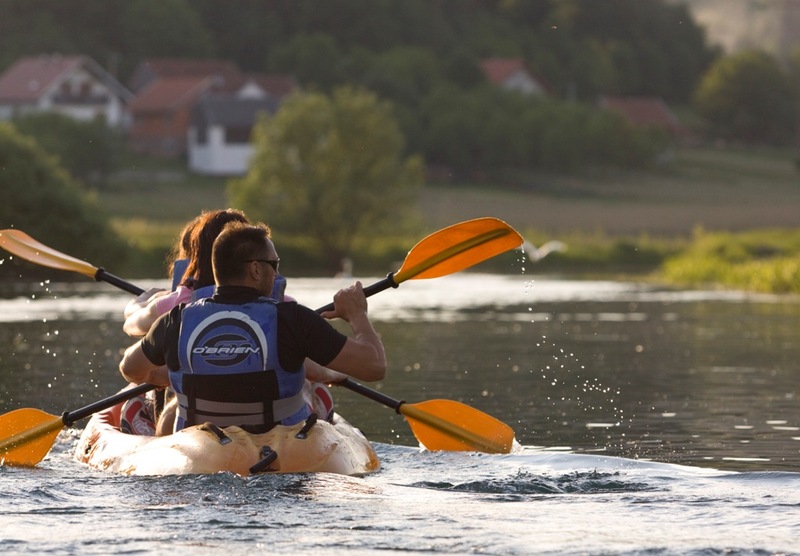 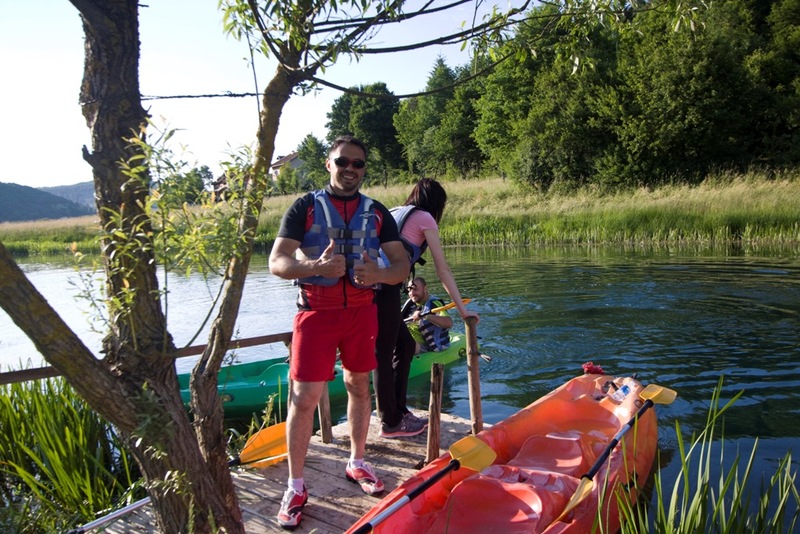 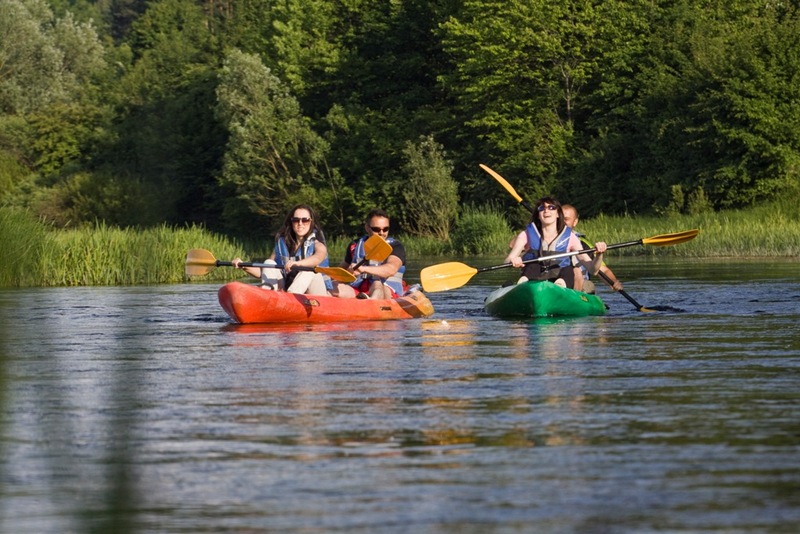 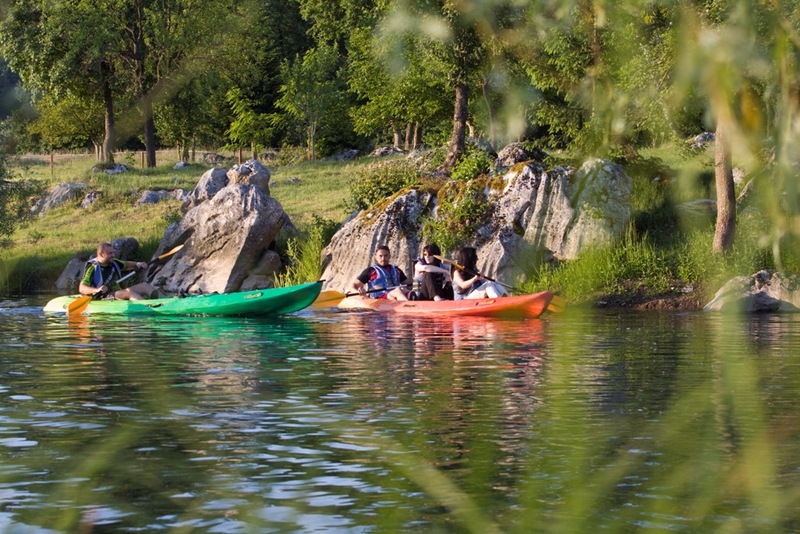 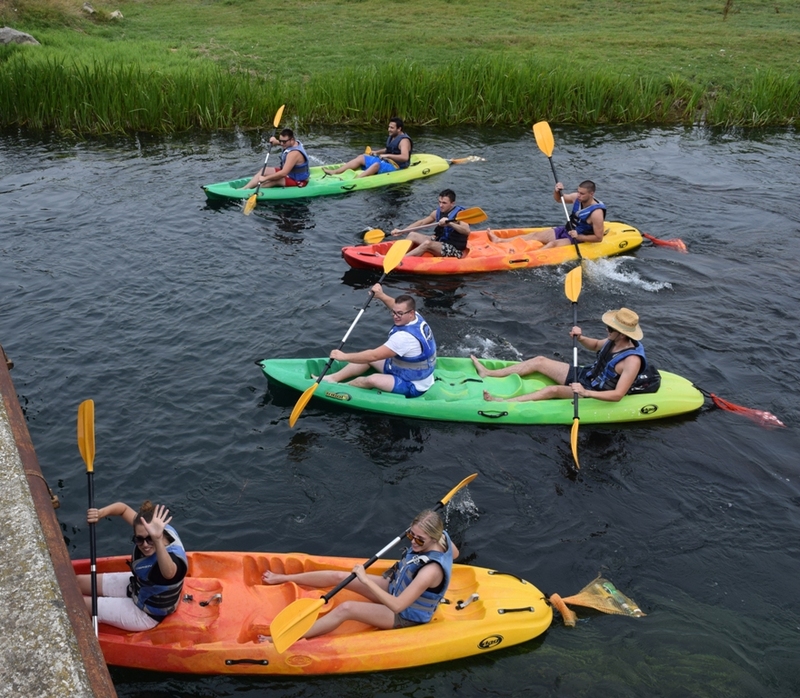 Kayaking on river Gacka is an ideal activity for people who like to enjoy landscapes without any stress! 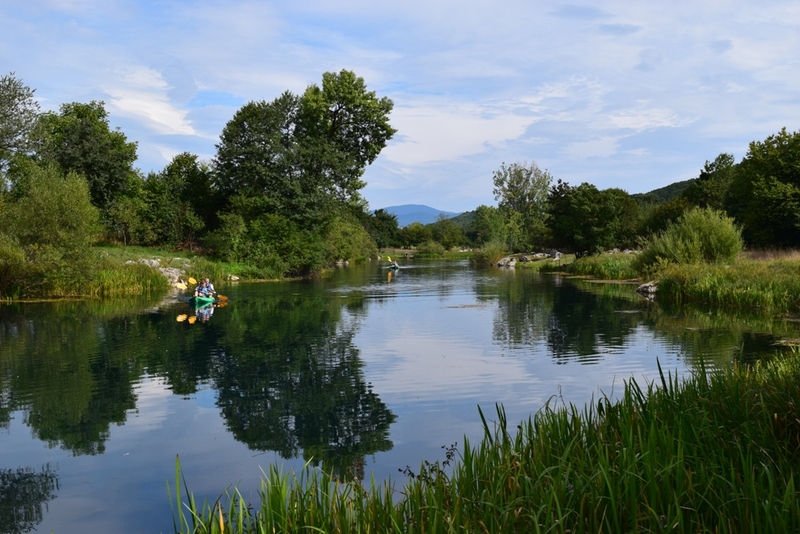 Almost no waterfalls… Only one at the end of the route, and you can choose whether you want to pass through or not. 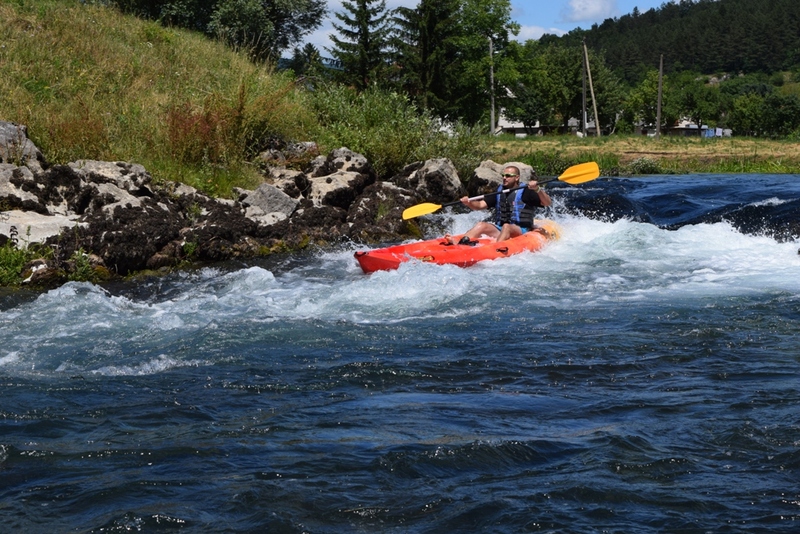 River Gacka is a family friendly location – you can enjoy it by yourself or with friends and family. 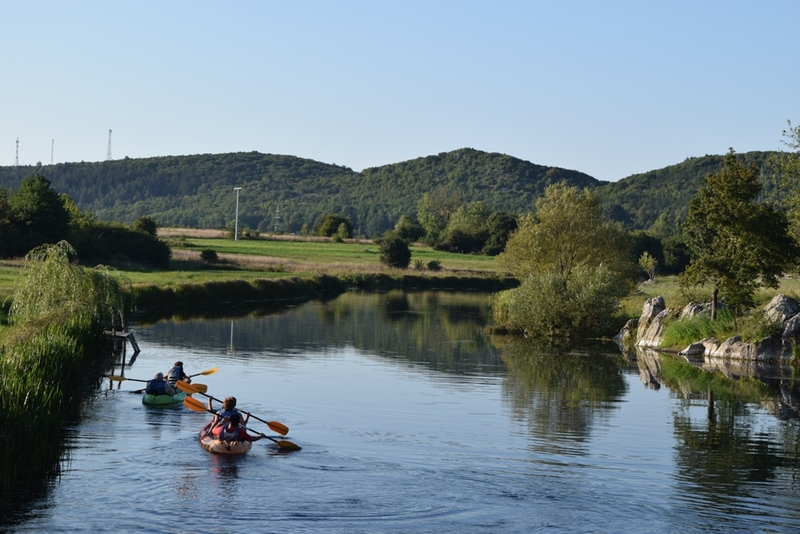 The route is 8 km long and you might need between 2 and 3 hours to complete it, depending on your paddling speed and how much you want to admire the scenery along the way. 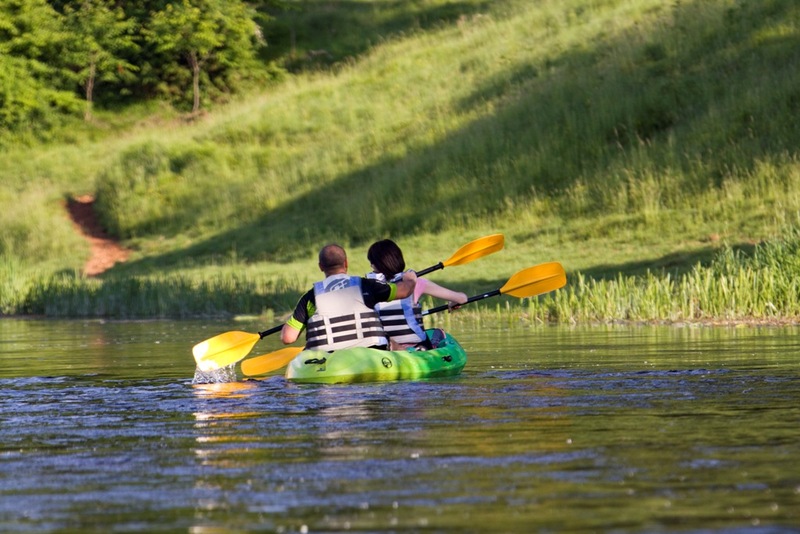 Dag Tribal kayak accommodates two adults and one child. 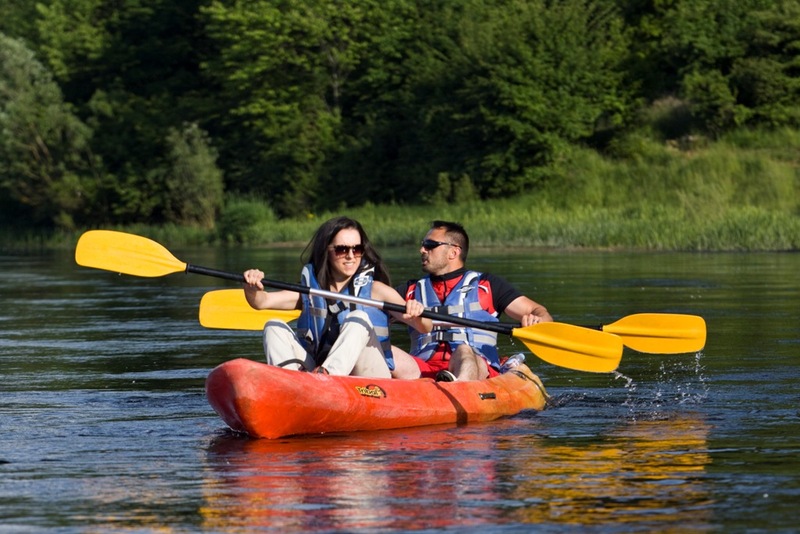 It is very convenient and safe to use. 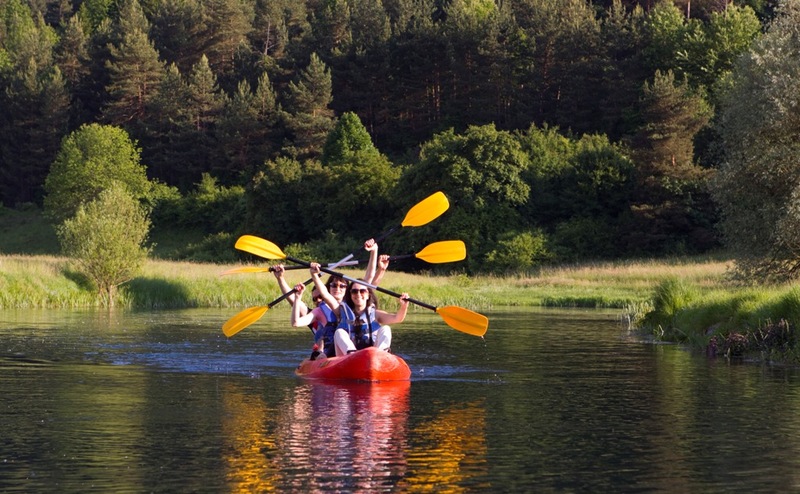 Rent a binocular and double your adventure. 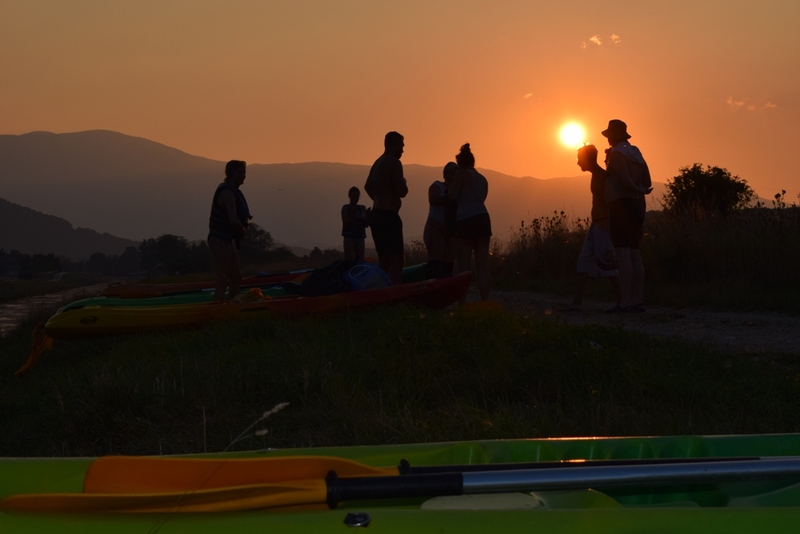 Look at the birds and landscapes from your kayak.